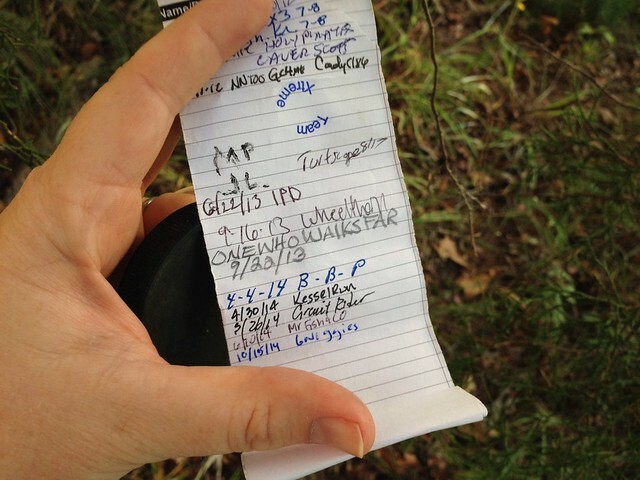 Each and every geocache has a rating associated with it. This rating is a most important tool for geocachers to use whenever they set out to find a cache. The rating MUST be read and understood prior to beginning the search. Boy! do we have some tales to tell because we didn’t take a look at the rating before we got out of the car. The rating is based on two parameters: 1) the difficulty of the hide; and 2) the terrain one must tackle on the way to the cache. This rating is also known as a cache’s D/T. The easiest of all caches is rated a 1/1. A cache rated 1/1 is one that a person in a wheelchair can access without any trouble. 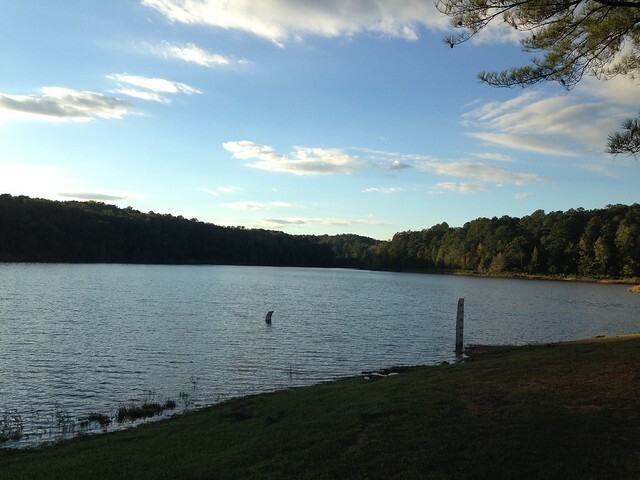 It is not difficult to find and the ground is completely flat and/or handicap accessible. The most difficult of all caches is rated a 5/5. This is a cache that is very difficult to find and usually requires special equipment (boat, scuba gear, climbing gear, space shuttle (yes, there is a cache on the International Space Station), etc.) to access. 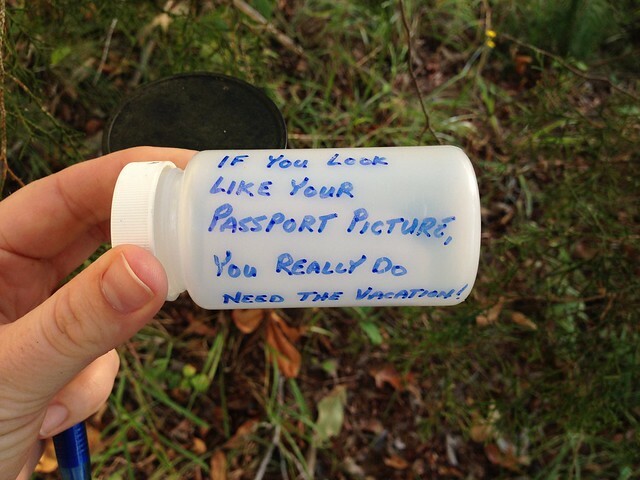 One of the challenges geocachers try to finish is called the Fizzy Challenge. This challenge entails filling in the D/T grid. A cacher who completes her D/T grid has found at least 1 geocache for each possible difficulty-terrain combination. There are 81 squares on the D/T grid. The current state of my D/T grid. 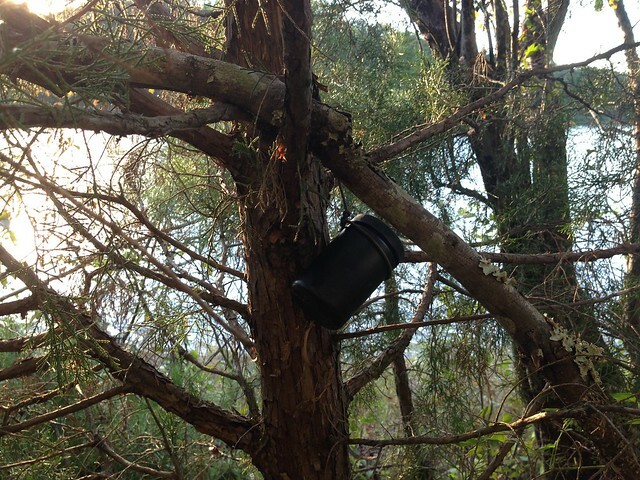 I’ve found a lot of easy caches. As you can see, I have 4 empty squares left to fill. A few hours ago, however, I had 5 zeroes on my grid. I decided that I’d attempt to find a 1/4 cache this afternoon. The 1 means that it’s easy to find. The 4 means it is difficult to get to. Thanks to a change in the land over the years, I didn’t need a boat to access this cache. 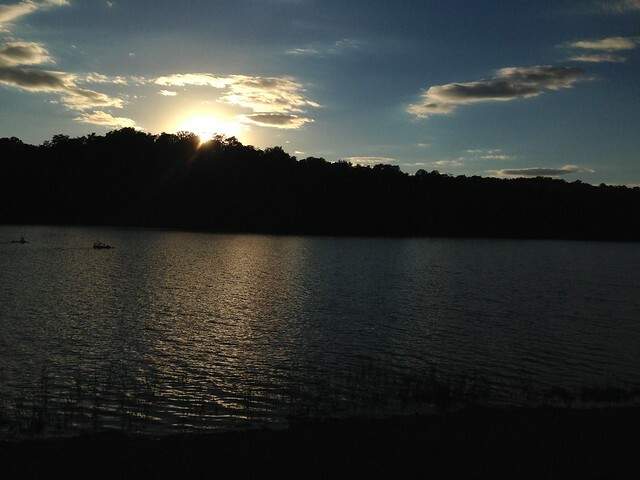 Today, there is a land bridge connecting the land and what used to be an island in Lake Harris. Karl and I made the long drive out to Lake Harris. No people. No noise. Perfect conditions for a good make-out session. and returned the cache to it’s container. That was that! Just 4 more caches to go, and I’ll have completed my first grid. Yes, the challenge just continues with finding at least 2 caches for each D/T combination, then 3, then 4, and so on. GC will generate a grid for you if you are a premium member. In the menu, click on “your profile.” In the quick view menu (at the top of the page), you should see a link for “statistics.” You’ll find your grid on that page. Oh that’s my problem. I’m not a premium member yet.